Founding members Kay Cox, Glenys McDonald, Fred Johnson and Frank Mongan, together with several like minded people, established the AUSSI (Australian Union of Senior Swimmers International) Masters Swimming Australia, Carine Branch.Carine AUSSI members swam at the Carine indoor pool for over 30 years until its closure in 2008. 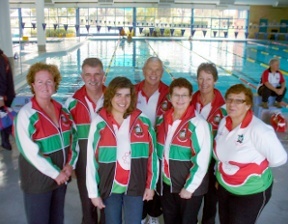 The club moved to Craigie Leisure Centre. 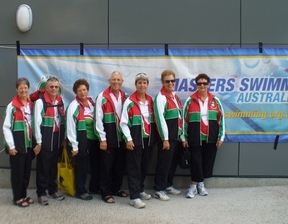 The acronym 'AUSSI' was dropped following in the footsteps of Masters Swimming State and National branches. 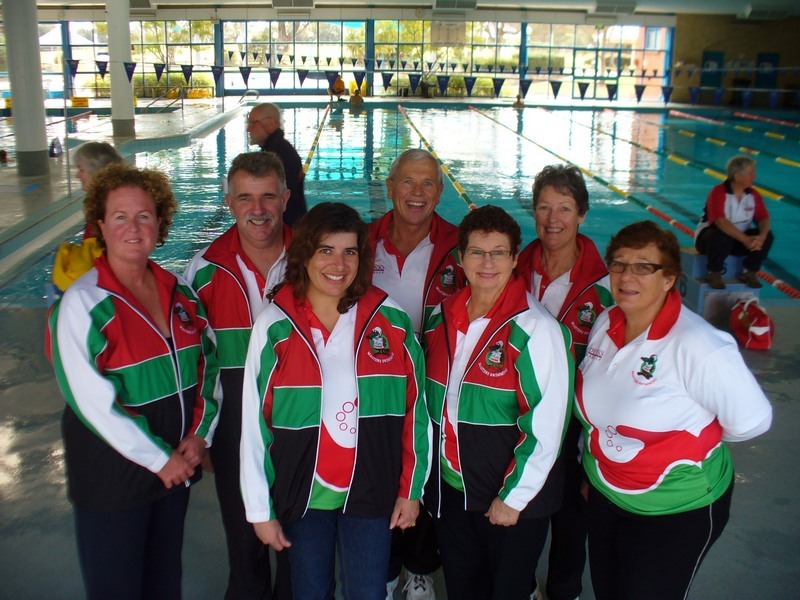 The club is now known as Carine Masters Swimming Inc.
We have about 30 members, ages range from 20s to 80s. Members vary in capabilities from those who can only swim a few laps to state and national record holders. We provide members with the opportunity develop their skills through coaching sessions on Wednesday evenings. Regular pool and open water competitions at interclub, state and national level give our members the chance to challenge themselves. 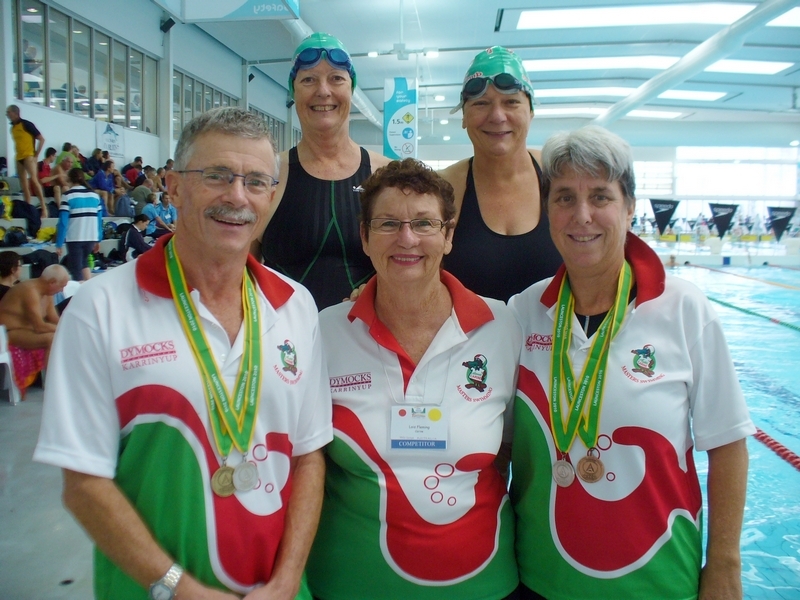 Official and volunteering duties give swimmers a look at a different side of Masters Swimming. Carine Masters encourages members to follow a healthy lifestyle by exercising regularly, avoiding excess consumption of alcohol and following a sensible diet to avoid obesity. All Masters Swimming events are non-smoking. 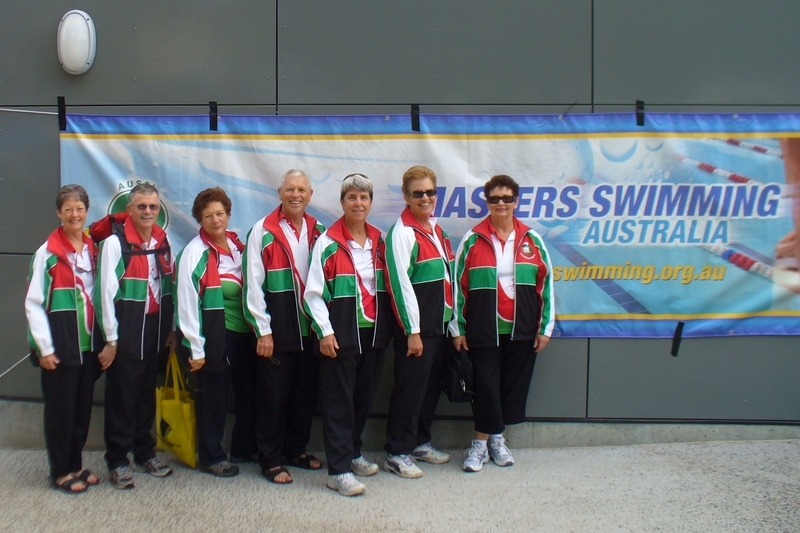 Masters Swimming clubs in WA conduct many open water swims during summer. Carine Masters runs the annual Australia Day Swim at Scarborough Beach. Check here for more information on The Australia Day Swim event and entry forms.